Andy Bryant is the Executive Director of Segal Family Foundation. This is a guest post by Liston Kosei, Senior Client Strategist for Anza 360°. Across the African continent, communities are struggling to create jobs for young people, and businesses are seeking to create new solutions for change. As a business advisor for the past five years, I've seen the potential of small businesses to transform communities and bring life-changing products and services to the people of Tanzania. 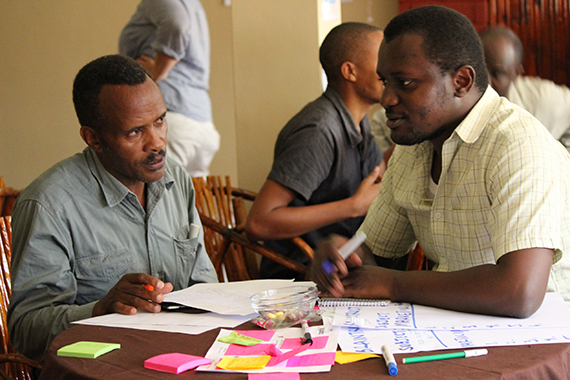 I recently joined the team of Anza 360°, a business accelerator program to start and scale social enterprises. I was immediately struck by two things different about Anza 360°: 1) Their focus on supporting entrepreneurs with relevant products for the Kilimanjaro market; and 2) The mix of practical support combined with direct affordable financing. Surprisingly, I spent my first week at work in Rwanda. 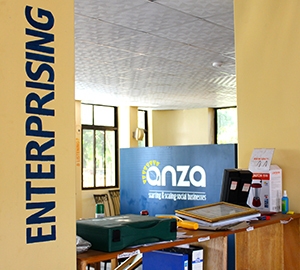 Anza 360° is the Tanzanian affiliate of African Entrepreneur Collective (AEC), a network of business incubators and accelerators in Rwanda. The two organizations were introduced to each other by a mutual donor, Segal Family Foundation. 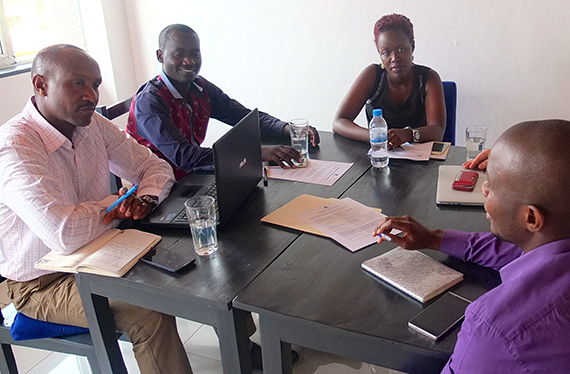 Anza 360° was AEC's first expansion out of Rwanda, and to get acquainted with the service delivery models, organizational culture, and my Rwandan counterparts, I spent a week at the AEC headquarters in Kigali. While small and growing businesses often face similar problems -- lack of networks, inconsistent access to electricity -- they are incredibly varied when it comes to their capacities, histories, markets, and teams. Because small and growing businesses are unique, one-size-fits-all trainings and bootcamps fail to adequately meet the individual needs of the participants. Anza 360° is rare in offering each entrepreneur tailored services through 12 months of strategic consulting, mentorship, and technical assistance. Through the program, entrepreneurs can also apply directly for loans that are structured according to the specific needs of their business - for example, agri-entrepreneurs' repayments can mirror their seasonal cash flow rather than following the strict monthly schedule of an 'off the shelf' product. Business development programs that do not also provide direct access to affordable capital are not addressing the barriers to finance that small and growing businesses face. Those entrepreneurs still must go through the traditional financing channels, with nearly prohibitive collateral requirements and high interest rates. Anza 360° offers low-cost, patient capital with flexible payment terms that focus on increasing entrepreneurs' ability to repay. We also lease expensive equipment to businesses, reducing their up-front costs and eliminating the need for additional collateral -- minimizing risk for both the entrepreneurs and our loan fund. This joint venture allows Anza 360° to leverage the experience and services of AEC and the deep local knowledge of Anza. In addition, we benefit from administrative economies of scale to keep costs low for our entrepreneurs. Affordable Computers and Technology of Tanzania - Robert is making tech-enabled classrooms a reality in Tanzania, stocked with refurbished computers pre-loaded with educational software. Arusha Women's Entrepreneurs - David, aka 'Mr Peanut Butter,' is working with female smallholder farmers and manufacturers to produce high-quality peanut butter. Iko Eco Recycling - Evance is implementing plastic recycling across the Kili region, adding value to plastic waste and creating jobs for youth. 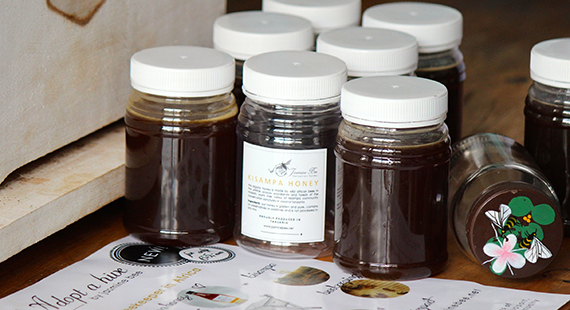 Jasmin Bee - Jasmijn (or "Mama Bee" as she is called) works with local beekeepers to produce raw honey for local and international markets, also leading to forest preservation. Last Mile - Liz runs a distribution network of trained local sales agents delivers life-changing products to the hardest-to-reach communities. Micro Health Initiative - John offers three tiers of affordable health insurance to low- and middle-income people, a product that is much needed for the country's 39M uninsured Tanzanians. Silverleaf Academy - Gordon uses curriculum-filled tablets and improved teacher training to differentiate his new chain of affordable private primary schools. Safe Water Ceramics of East Africa -Kim's patented clay water filters are already winning awards and saving lives. 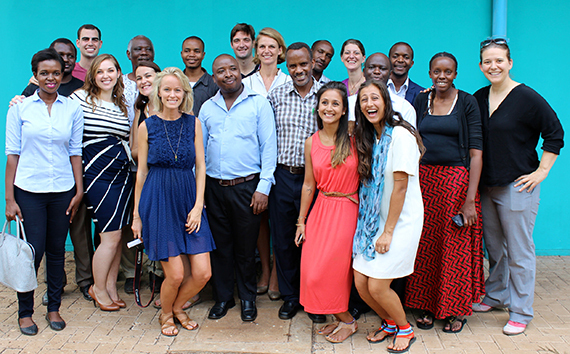 Totohealth TZ - Giulia is launching the first franchise of Kenya's Totohealth. Totohealth TZ's pregnancy education SMS system, birthing supplies, and infant care packs ensure a safe start for moms and babies. We believe they will be incredible leaders to watch!